None, it would probably help to know C++ but if you are just learning the language don’t worry. I don’t assume you know anything about C++, frankly I didn’t when I was first learning how to do this. You want to select Mac OS X and then Command Line Utility. 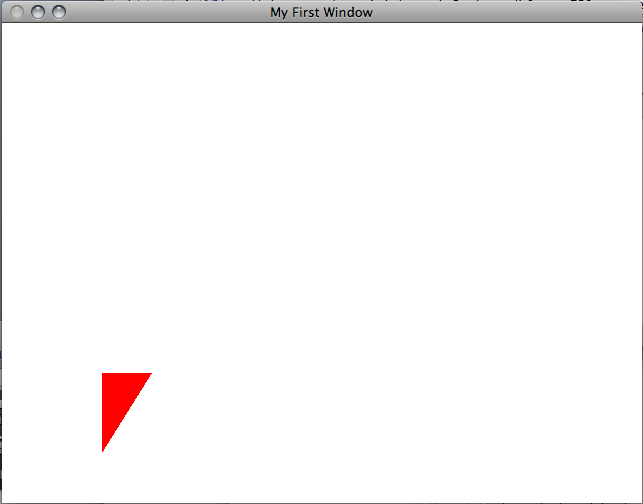 Don’t worry if your XCode window doesn’t look precisely like that. 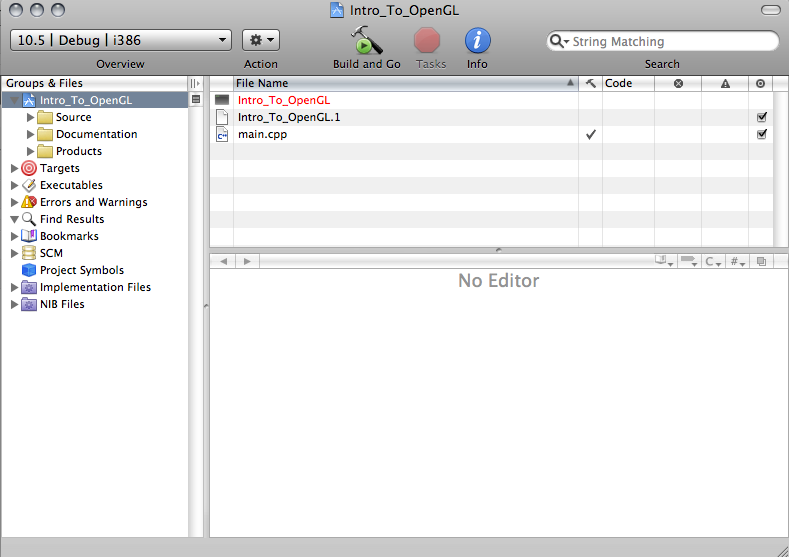 I named my project Intro_To_OpenGL and saved it somewhere I can find it later. The next step is to bring in the correct frameworks, you will need GLUT and OpenGL. To do this you can right click (Control Click if you do not have a 2 button mouse) on the Intro_To_OpenGL in the Groups and Files browser and select Add->Existing Frameworks. 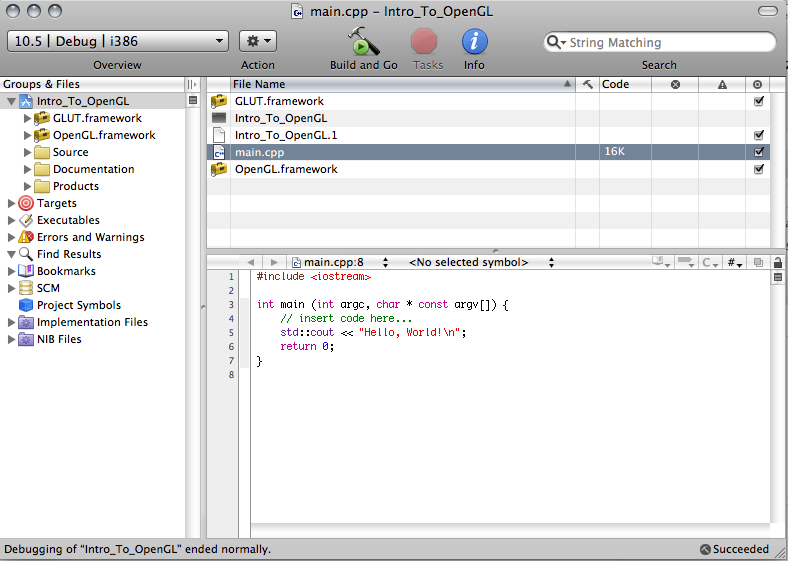 Then select OpenGL.framework and GLUT.framework which are located in /System/Library/Frameworks. 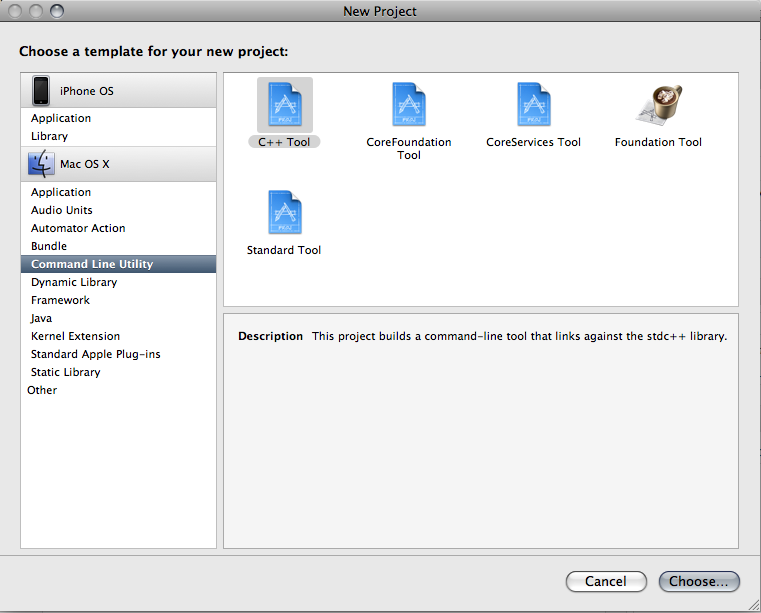 You can Command select the two frameworks or you can add them separately. Either way they need to be added to your Project. After you have added the frameworks you can now start writing some code. You will see in the above I selected main.cpp. This is the main file of a C++ program. This simple program will just use this one file. Normally this is a pretty bad way of doing things but this program won’t be very long so we can get away with it. glutInitWindowPosition(100,100);//Where do we want to place the window initially? I hope this helps you guys, this is just the basics if there is interest I will continue writing tutorials on more advanced things using OpenGL, GLUT, and C++. As a challenge, turn the background blue, draw a black octagon on top of it. Good luck.